• PLOT SUMMARY: Written by Geoff Johns. Art by Howard Porter & Livesay. Zoom is back in Part 4 of the 6-part "Rogue War," and he aims to upset the balance of the war and teach Wally West a new lesson in the differences between hero and villain! 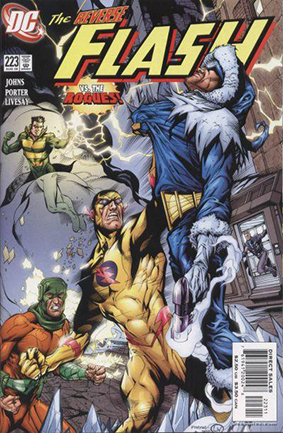 But Captain Cold and the Rogues aren't about to take Zoom's interference sitting down!